I attached a photo of my dpf because I am not sure about the name. If it is "eovision" or "veovision" or someting else. 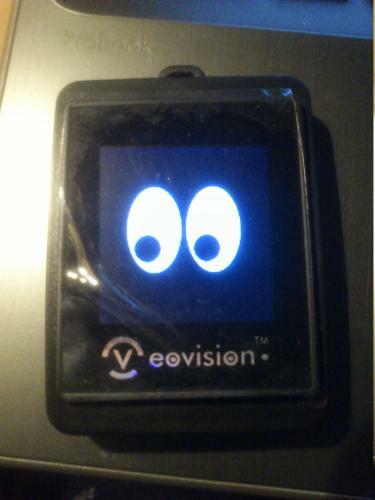 It's "Veovision". See here. So I will change be the name of this dpf to veovison. Thanks again. Strange I haven't found this. Do you add this model to svn trunk repository? Yes, will be added to svn. i download the dpf-ax_0.41_20130520.tgz from http://sourceforge.net/projects/dpf-ax/files/source/ and upload to my NAS box. then i run the build-dpf-lcd4linux.sh and get the following output. Seems i need to install the DPF driver, what's the next ? Are you sure you downloaded the correct file? Edit: and you need to install aclocal. Edited 1 time(s). Last edit at 05/21/2013 01:05AM by superelchi. regarding the aclocal, already installed. no idea why it was not found. That's why build-dpf-lcd4linux.sh did not complain. It checks for the existence of "aclocal" with "which" - so everything looks okay. is aclocal a standalone package. google said it's inclueded in automake or autoconf. i have checked the "automake" " autoconf" are installed. So aclocal is a perl script. Maybe your perl install is missing/broken? perl - 5.10.0-6 - Practical Extraction and Report Language. BEGIN failed--compilation aborted at /usr/lib/perl5/5.8.6/X86/threads.pm line 28. Compilation failed in require at /opt/share/automake-1.12/Automake/ChannelDefs.pm line 23. BEGIN failed--compilation aborted at /opt/share/automake-1.12/Automake/ChannelDefs.pm line 26. Compilation failed in require at /opt/share/automake-1.12/Automake/Configure_ac.pm line 27. BEGIN failed--compilation aborted at /opt/share/automake-1.12/Automake/Configure_ac.pm line 27. Compilation failed in require at /usr/bin/aclocal-1.12 line 38. BEGIN failed--compilation aborted at /usr/bin/aclocal-1.12 line 38. You have to ask the maintainers of your pearl/autotools packages. oops, seems i need to update something to make it works. You could try doing a cross-compile on your PC for your "PeachAliStation" arch, is that a mips or arch linux variant? or some version of Openwrt? I tried hackfw.sh from https://github.com/neophob/libst2205 but it said it wasn't an already supported frame. Moved on to generate-hack.pl. It dumps the firmware correctly (There is only one block device at /dev/sdb) but fails to hack it. Here is the generate-hack.pl output and the firmware file it dumped. Any idea if this is hackable? Eeek! expected single match but found 3 - dont know what to do! EDIT: phack writing a message to the stock firmware does work :D Might be some hope. EDIT2: Took out the extraneous 'done' in the lookforme dd command but same result. Edited 3 time(s). Last edit at 05/23/2016 05:02PM by parkerlreed. Not available also in my area.